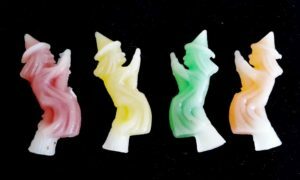 Who remembers chewing wax candy until the sweetness was gone and the wax would literally break apart in your mouth? 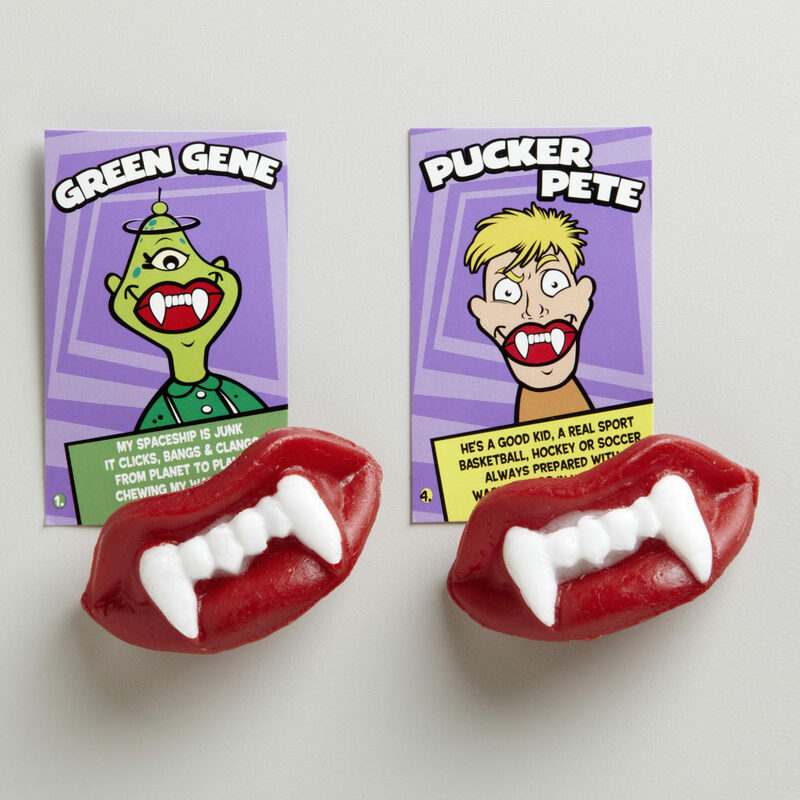 Back in the ’60s, chewing on wax candy was one particular sweet Halloween treat I remember the most. 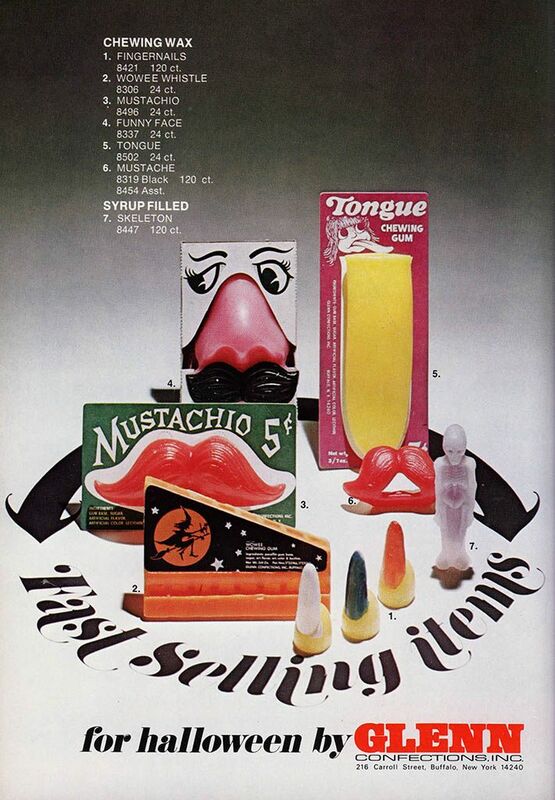 Wax lips, fangs, mustaches, harmonicas, fingertips, goofy teeth…were some familiar shapes found in the local candy store. These sweet shaped wax concoctions had somewhat of a purpose; you could wear them to scare your friends and family, play with them, or use them as a musical instrument before chomping away for a moment of two of sweet satisfaction. 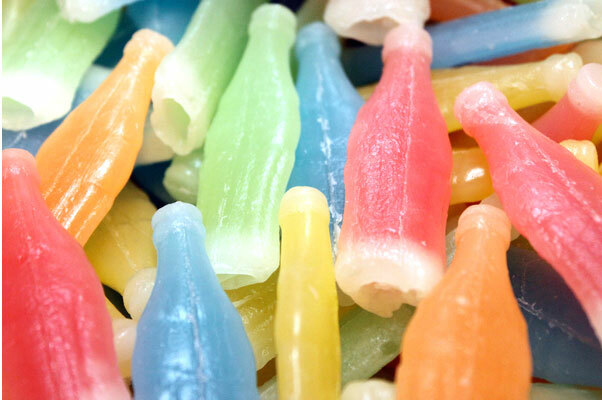 Additionally, another wax candy item I relished was the Nik-L-Nips (i.e., pay a nickel for them, and nip to drink the sweet colorful juice inside the wax bottle). By the way, did you know when you chew these wax confections and gum, you were actually chewing on a refined oil byproduct? (Safe for consumption, of course.) Paraffin wax is a byproduct of kerosene distillation. 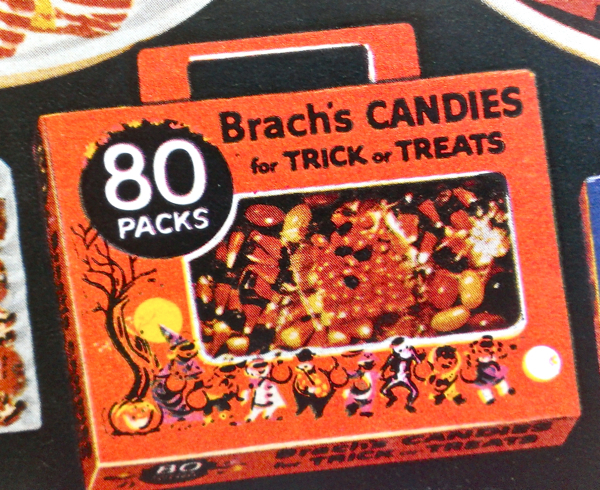 Another favorite I remember receiving in my treat-or-treat jaunts were Brach’s tiny candies -which came in cute tiny cellophane bag. Of course, everything unwrapped, such as handmade candy-apples, popcorn balls, apples, and misc candy was immediately tossed into the trash. 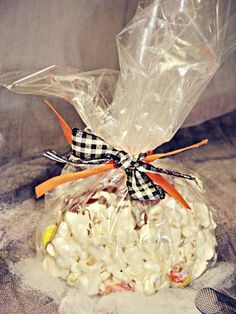 Did you know-Tossing those marvelous tasty homemade treats and delicious apple treats made by neighborhood little old ladies, were from rumors caused by Halloween hoaxes? 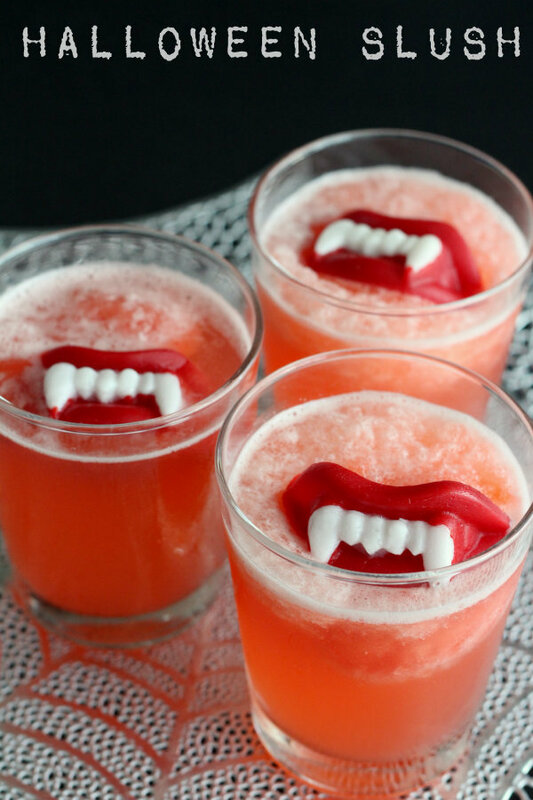 Here is a fun Halloween drink recipe I found online using Wax Candy Fangs….Eat, Drink and be Scary! Bring sugar, water, and the strawberry jell-O mix to a boil in a large pot. Stir in pineapple juice, lemon juice, and orange juice-divide into 2 separate containers and freeze. Next, combine contents of one of the containers with 1-bottle of lemon-lime soda in a punch bowl. Stir until slushy and add in clear plastic cups or glasses. Repeat for the other container if you need to make more.